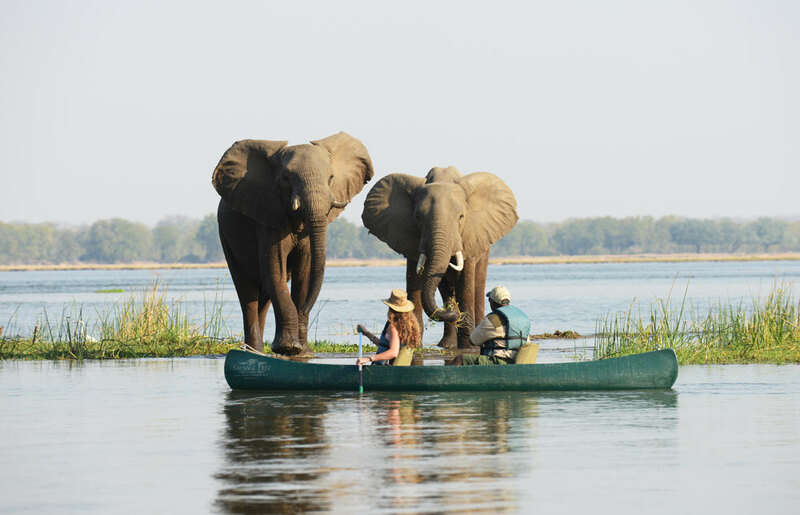 There is something uniquely “Lower Zambezi” about drifting down the Zambezi river, drink in hand, the sun sliding certainly behind the Zambian escarpment watching elephant, hippo and many others go about their afternoon rituals. In season, an afternoon visit to the carmine bee eater colony will not be forgotten and watching wildlife from the water gives you a fresh perspective on their behaviour and allows for unique photographic opportunities. 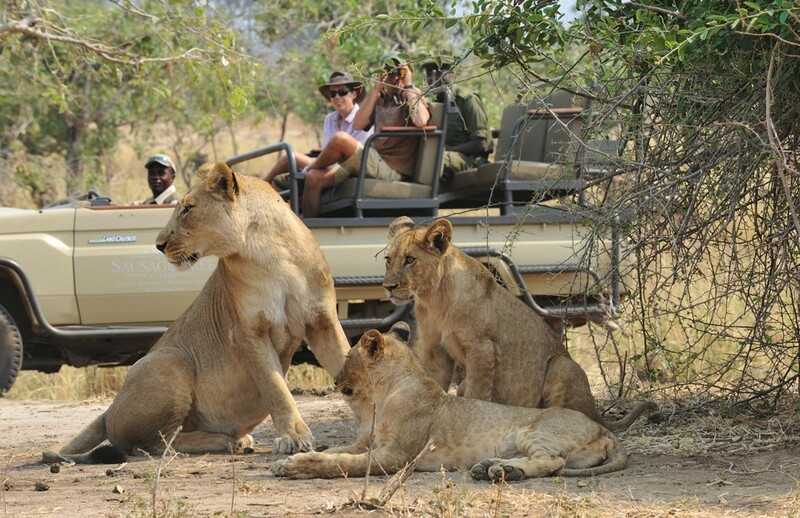 Comfortable 4x4 safari vehicles are used to conduct game drives in the Lower Zambezi National Park and a wonderful activity to get up close to large wildlife like lion, leopard and buffalo to name a few. As the afternoon begins to merge into evening, so the nocturnal wildlife begins to appear and animals like porcupine, civets and leopard can be spotted using the spotlight. Leopard occur in high numbers in the Lower Zambezi National Park and the park offers excellent visibility, especially as the season gets drier. Be paddled by an experienced guide through a network of channels! The silence and the beauty, the calm and the wilderness all combine to give you a 3 hour activity that will remain in your memory banks forever. The Chifungulu channel in particular is lovely experience and is a must for keen photographers and birders. 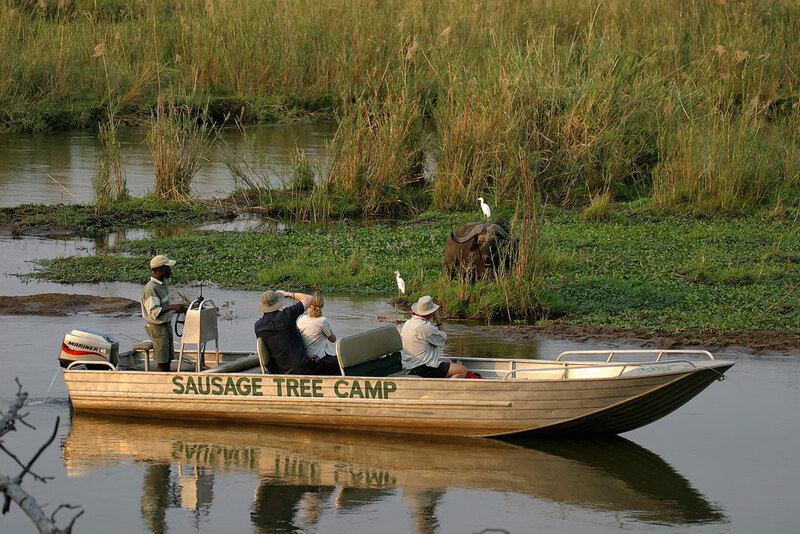 Both the morning and afternoon activity sessions are great for a canoe safari. 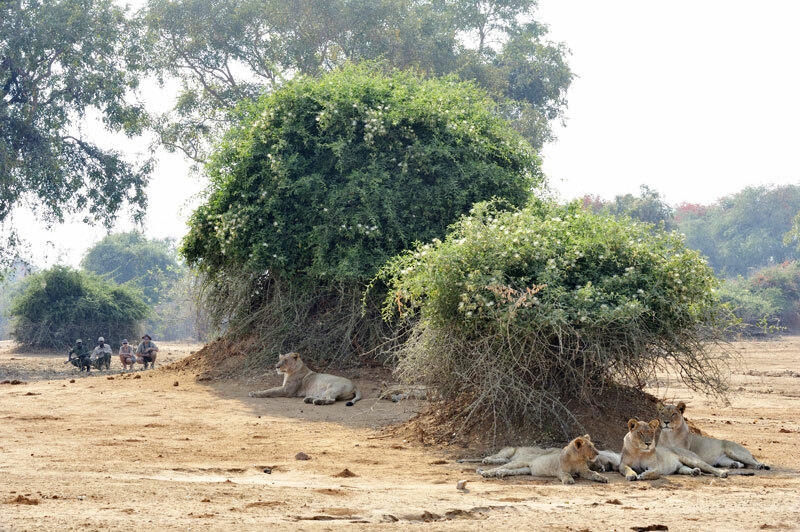 Walking safaris are not available in all parks and the opportunity to enjoy this safari activity is not always available at all safari lodges. 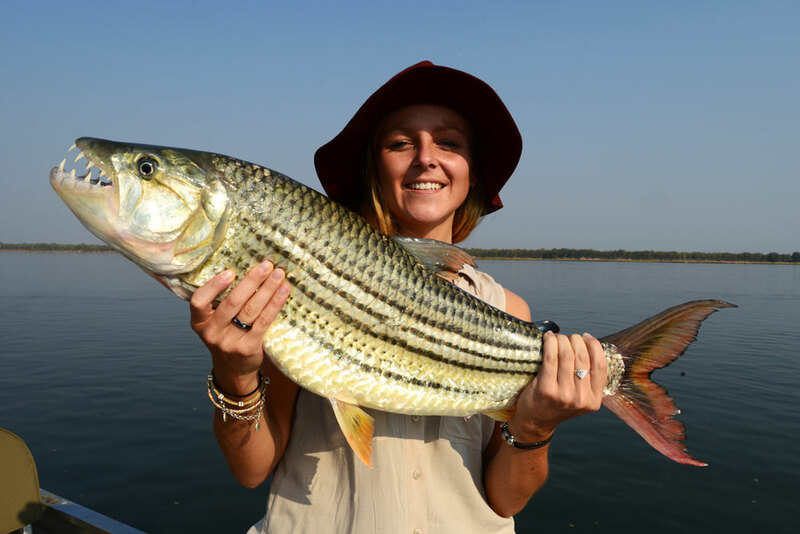 So to be able to participate in them in the Lower Zambezi National Park is a real treat. Always led by a guide and armed ZAWA scout, the walks are tailored around your interest, safety and fitness levels and are meant to be used to get to understand the wild more intimately and not to be a fitness march! 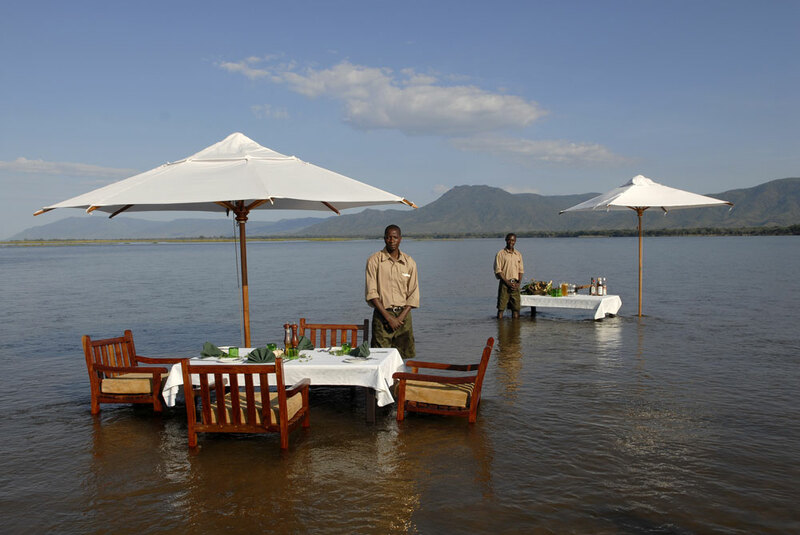 Where else can you sit in ankle deep water on a sandbar in the Zambezi River and enjoy a fabulous lunch under a marquee with a Zambezi cocktail in hand? There are hippos in the deep water to your left, elephants on the island to the right and you perfectly at one with the whole system in the middle – perfectly safe. Or what about a bush dinner – arriving after a game drive at a roaring bonfire with tables lit by candles for you to enjoy a delicious 3 course meal paired with a warm smoky red wine and listen to the animals and birds creating the night ambience. They are not just meals – they are memories.